So cute, love the tag and how you colored the image, and the twine and button really compliment your colors. Awesome card! What an adorable set, and your card is wonderful. Love your coloring. What a cute card made with this fun set! Such a cute card and love the way you made this tag and your great coloring. A wonderful stamp and die set. Love the tag die on the card. 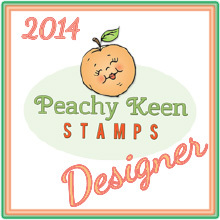 I would love to create a bookmark using your idea and this great new stamp. 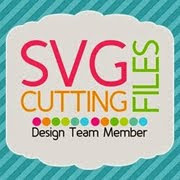 love your background an using the tag with the twine.....awesome!! This set is adorable and so is your sweet card! Love your coloring...beautiful job. That is so adorable! I love these new sets, so cute. Beautiful card!! Love the coloring!! I love your card/tag It's really cut, I love the colors too. You're truly awesome! Love the design on the fishtail. Fits right in with the story. Great coloring and I like the papers and layout. The image is just precious!! Such a fun stamp set!! This little guy is so cute. I love that little fluff of hair. Super cute! Love the card! 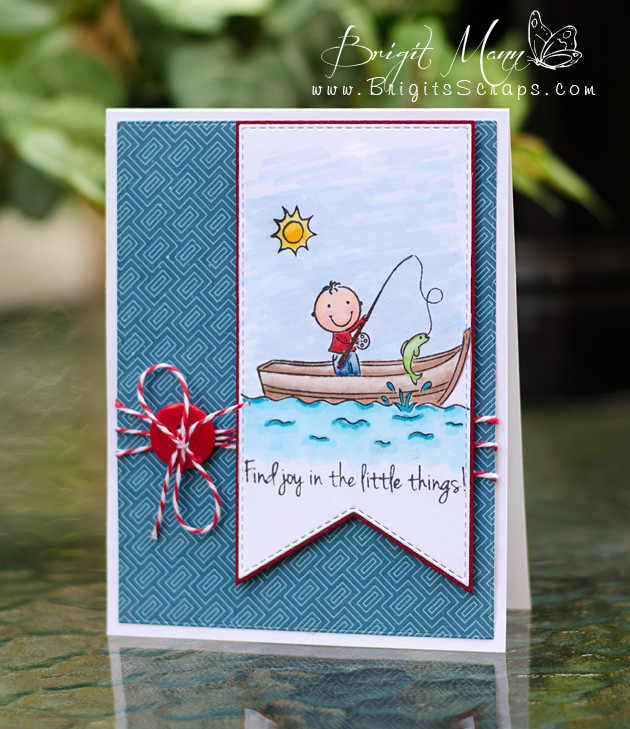 What an adorable card and clever tag layout- it; it really highlights the fishing scene. Love your card! You do great watercolouring! Love the design. This would warm any man's heart. Such a cutie patootie card. I have a lot of fishermen/women in my life. Must have set! That image is so cute! So sweet! I love how you stamped this onto a tag on your card! Brigit ~ Okay this is colored to PERFECTION and LOVE how you used the tag for this stamp! 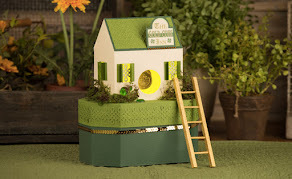 Then the twine and button ~ ADORABLE!